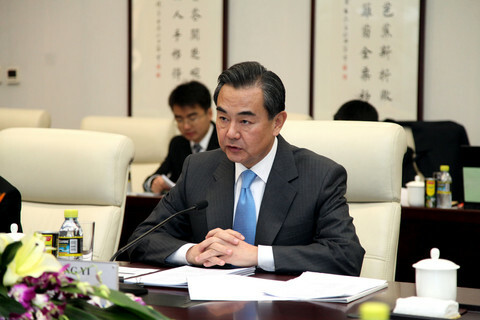 On 20 December 2015, China's Foreign Minister Wang Yi gave an interview to Chinese media during his visit to Cyprus and commented on China's diplomacy and China-Europe relations in 2015. He said that the year 2015 has witnessed comprehensive progress in China's diplomacy. This year marks the 70th anniversary of the founding of the United Nations (UN) and the 70th anniversary of the victory of the World War II. For the cause of human development and progress, this is an important year in inheriting the past and ushering in the future. The international community is certainly concerned about the two major issues of peace and development. China focuses on the two important issues in its diplomacy, actively keeps forging ahead and has carried out a series of important diplomatic actions, making significant progress and results. In terms of peace, we successfully hosted the commemorations marking the 70th anniversary of the victory of the Chinese People's War of Resistance against Japanese Aggression and the World Anti-Fascist War, and worked with the international community in firmly maintaining the contemporary international system with the UN as its core and the victorious outcomes of WWII, firmly maintaining the norms governing international relations on the basis of the purposes and principles of the UN Charter and firmly safeguarding international justice and conscience. At the same time, we have also been actively involved in the resolution of international and regional hot-spot issues. We and some other parties facilitated the reaching of the comprehensive agreement on the Iranian nuclear issue, and actively mediated hot-spot issues in Africa with South Sudanese issue as a representative, hot-spot issues in the Middle East with the Syrian issue as a representative and hot-spot issues in China's neighboring countries with the Afghan issue as a representative. We put forward China's solutions and ideas timely at important time nodes in different issues, took an objective and just position and played a unique and constructive role. We have also been continuously exploring solutions with Chinese characteristics to hot-spot issues in this process. In terms of development, we successfully formulated the 2030 Agenda for Sustainable Development with other countries and safeguarded the legitimate rights and interests of the developing countries including China. Not long ago, we reached the Paris agreement on climate change through hard negotiations with France and other countries, and China made significant contributions to it. We have vigorously promoted South-South cooperation all over the world and in regions with most developing countries. Through platforms such as the Forum of China and the Community of Latin American and Caribbean States, Forum on China-Africa Cooperation, China-Arab States Cooperation Forum, 16+1 cooperation between China and the Central and Eastern Europe and 10+1 cooperation between China and the Association of Southeast Asian Nations, we put forward a series of ideas on South-South cooperation and visible, tangible and specific measures, which have won positive evaluation and widespread appreciation from the developing countries. Diplomacy with Europe is indeed an important highlight in China's diplomacy this year. This year marks the 40th anniversary of the establishment of the diplomatic relations between China and the European Union (EU). Based on President Xi Jinping's successful visit to Europe last year and the consensus reached with the EU leaders on establishing four major partnerships, Premier Li Keqiang met with the EU's new leaders this year and reached a series of significant consensus, reflecting mainly in the two sides' agreement to promote three major dockings, namely, docking China's Belt and Road initiative with Europe's development strategies, docking China's international production capacity cooperation with the Investment Plan for Europe (Juncker Plan), and docking 16+1 cooperation between China and Central and Eastern Europe with the overall cooperation between China and Europe. With the joint efforts of the two sides, we have yielded important early results. 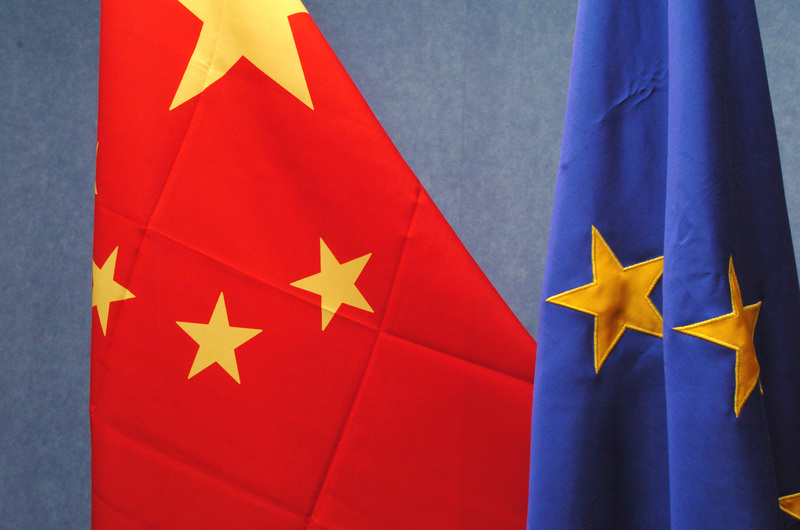 Examples can be seen in establishing the China-EU joint investment fund, forging a China-EU connectivity platform, launching the first dialogue on legal affairs, accelerating negotiations on a bilateral investment agreement and initiating the feasibility research on a China-EU free trade area as soon as possible. What is particularly worth mentioning is that, through our efforts, our relations with the UK, France, Germany and other sub-regional countries in Europe take on a satisfying situation of racing development and mutual enrichment. This can be called sound interactions of China-Europe relations. Sound interactions are featured with joint efforts for a bigger cake, constant enlargement of common interests and constant expansion of mutually beneficial cooperation instead of competitions about winning or losing. During this process, divergences will be relatively reduced and problems are much easier to be resolved. I just finished my visit to Germany. China-Germany practical cooperation continues to take the lead in China-Europe relations and is being constantly deepened. Both sides agreed to expand cooperation in the field of innovation, promote the docking between strategies of "Made in China 2025" and "German Industry 4.0," and thus enhance each other's industrial competitiveness. Taking China-France relations for another example, both sides have agreed on implementing third-party cooperation and opened up new areas of cooperation to make China-France relations continue playing a leading and demonstration role in China's exchanges with the western countries. 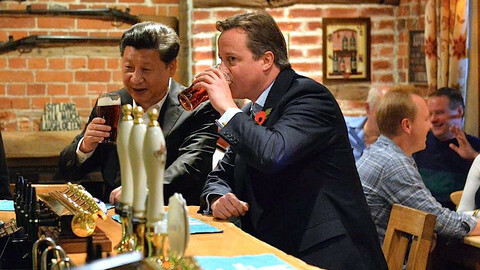 In terms of China-UK relationship this year, it is another highlight with commendable moments. President Xi Jinping's "super state visit" to the UK achieved a great success, and China-UK relations have entered a "golden age". 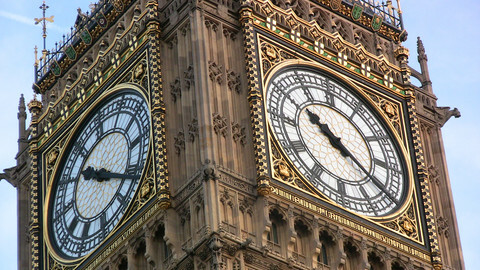 The UK said that it will be China's "strongest supporter", "most open partner" and "friendliest friend" in the west. I think this important development of China-UK relations actually indicates the development prospects of China's relations with the western countries. 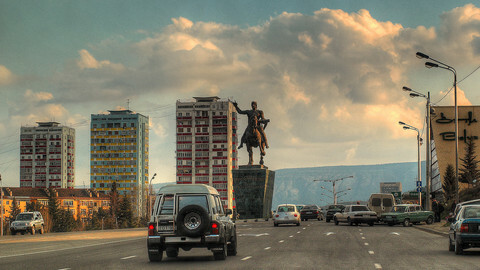 There are latest achievements as well, such as China's entry into the special drawing rights currency basket of the International Monetary Fund (IMF), China's membership in the European Bank for Reconstruction and Development, and substantial increase in China's quota and voting power in the IMF after the United States Congress approved the reform scheme of the IMF two days ago. 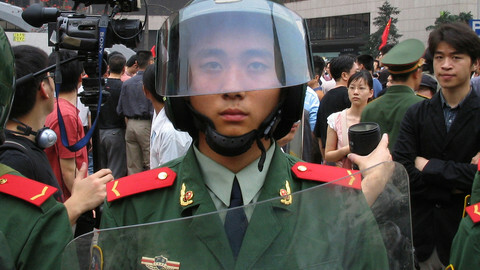 China's status and influence in the international community are undergoing an obvious change. Combining these important achievements, we can see a very clear tendency and an explicit direction that through our endeavor, the international community welcomes China's peaceful rise, recognises China's development pattern and appreciates China's development path to a higher degree. The international community is willing to see that China enjoys a position that matches its overall national strength, and also expects China to play a more important role in the regional and international arena. I think this is a momentous progress with highly positive significance in the history of contemporary international relations. This progress, or change, conforms to the trend of world development, the direction of human progress and the common interests of the international community including China, and creates a sound external environment for China's development at a higher level and in a wider range. In the next stage, we not only expect that the relations between China and the various forces in Europe keep sound interactions and constant deepening, but also hope to expand the sound interactions. We are willing to see sound interactions between China-EU relations and China-US relations, between China-US relations and China's relations with its neighboring countries, and between China's relations with the developed countries and relations with the developing countries. Of course, China's diplomacy also faces various challenges, but our world will surely become more peaceful, more stable and more prosperous if such grander and wider-range sound interactions are realised. China's diplomacy will continue to make its contributions to this end. Chinese leader Xi Jinping has urged the UK not to leave the EU in a rare intervention in a foreign country’s internal affairs. 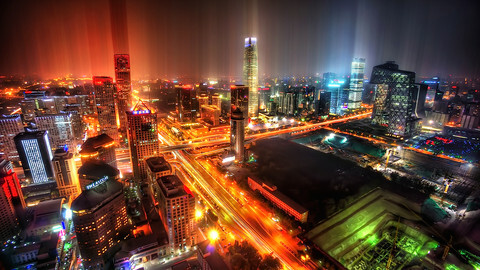 At a meeting in Beijing, EU and China agreed on more cooperation on investment, transport and mobile networks. Despite ideological and practical difficulties, Europe and China have a common interest in combating extremism and its root causes.